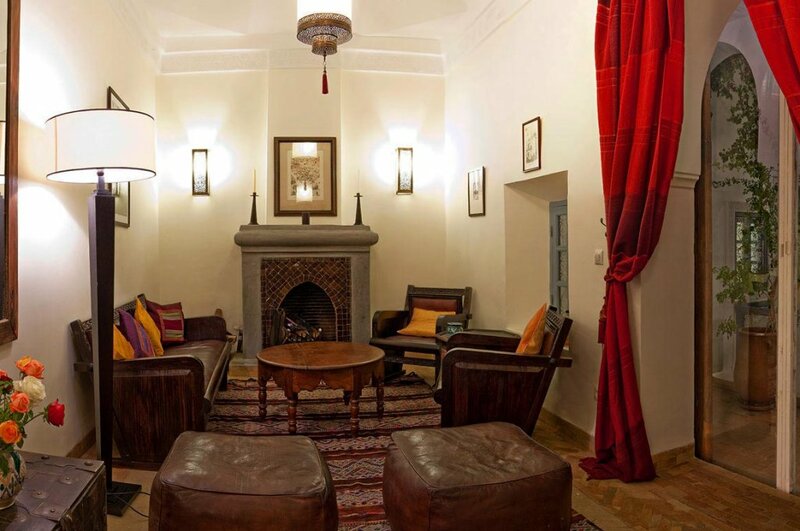 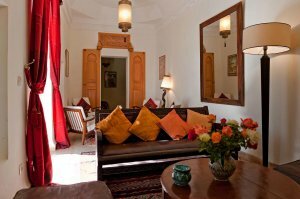 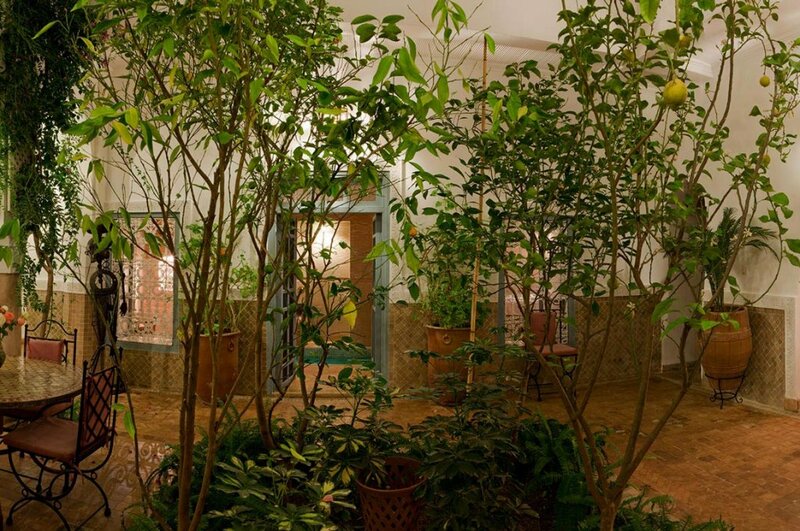 Riad Zohar is a "family home" in the prestigious Mouassine district of the medina, a few minutes walk from Jemaa El Fna. 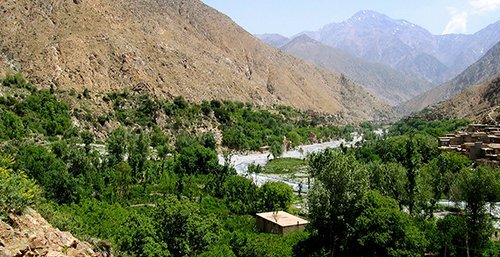 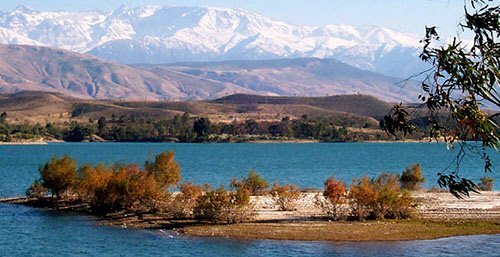 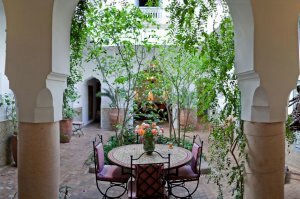 second home of a couple from Paris since the beginning of the century, they privatize their absence in allowing a family or group of friends to enjoy together of all the facilities. 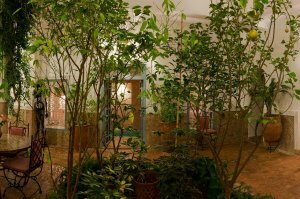 Completely renovated in early 2009. 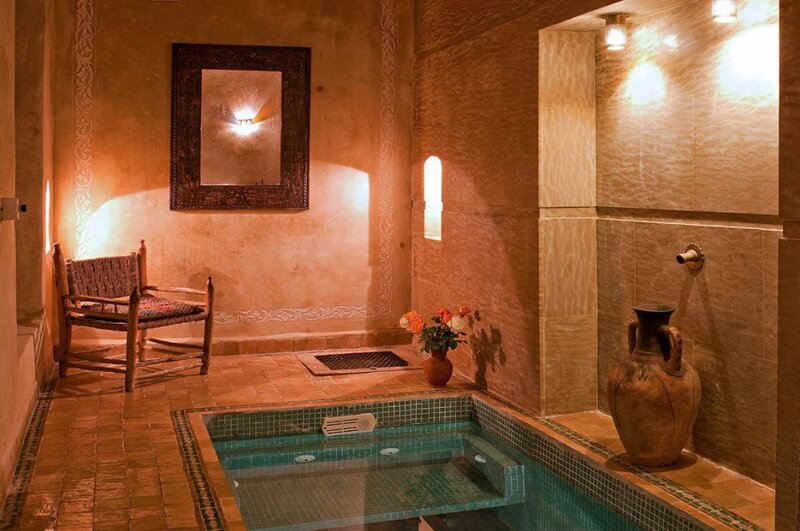 The riad has 5 bedrooms, 2 with extra beds to accommodate up to 12 people. 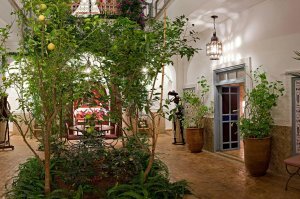 On arrival at the riad, you will love the patio where lemon, orange grow and where birdsong replace the noise of the souks and Jemaa el Fna. 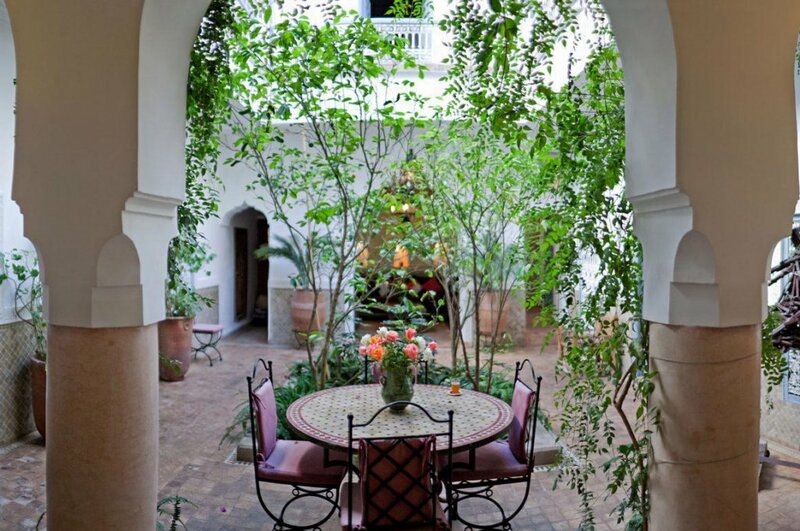 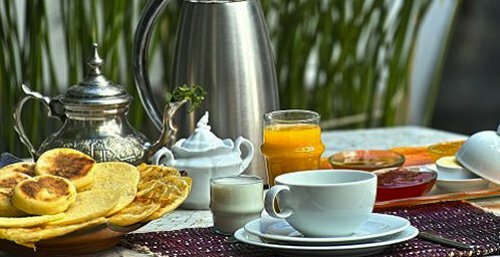 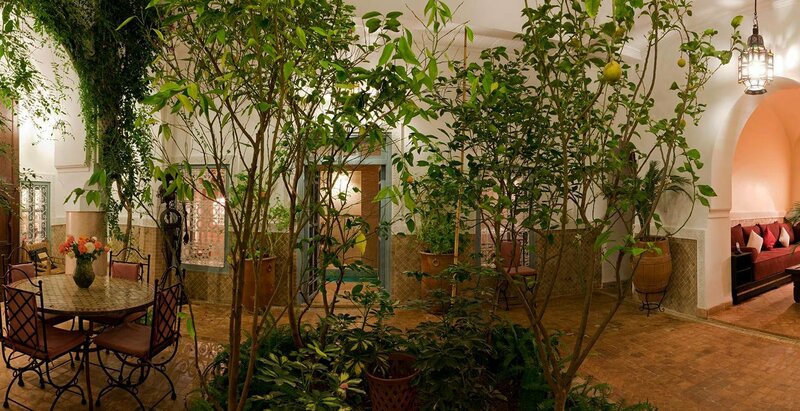 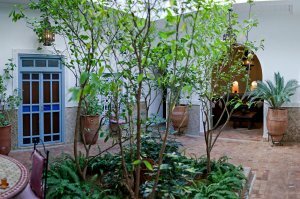 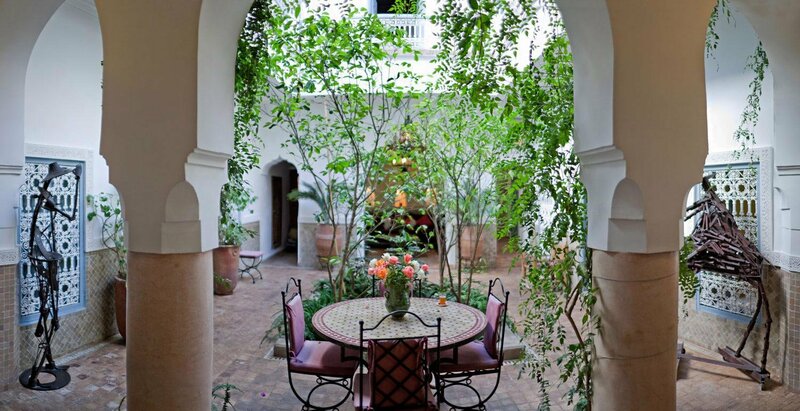 * Overlooking the patio planted with citrus, a B'hou (Moroccan living room) in a large and cozy alcove, very nice to take breakfast, a mint tea or relax there after a walk in the souks. 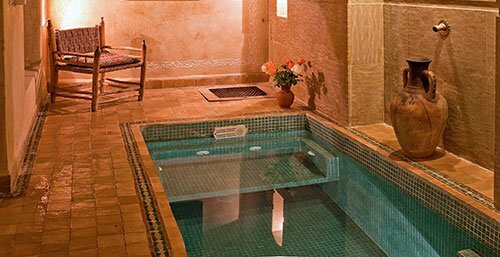 * Relaxing: Small heated pool with jet stream and massage table where Fatima will offer several types of body treatments. * A charming Berber lounge facing the B'hou for an aperitif at the fireplace waiting to come to the table in the adjoining room. 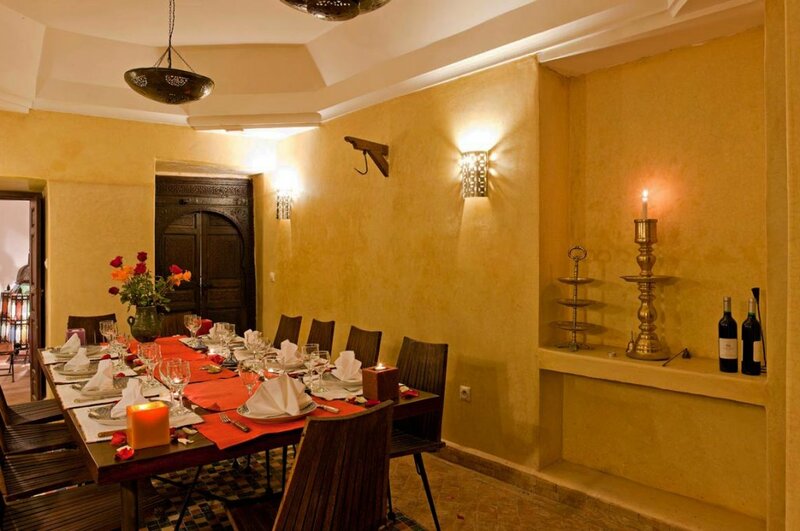 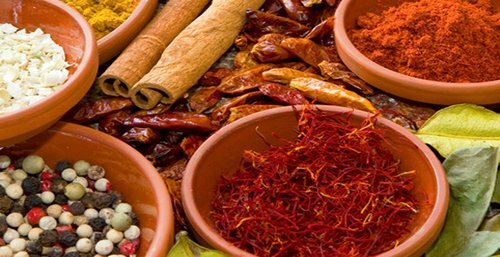 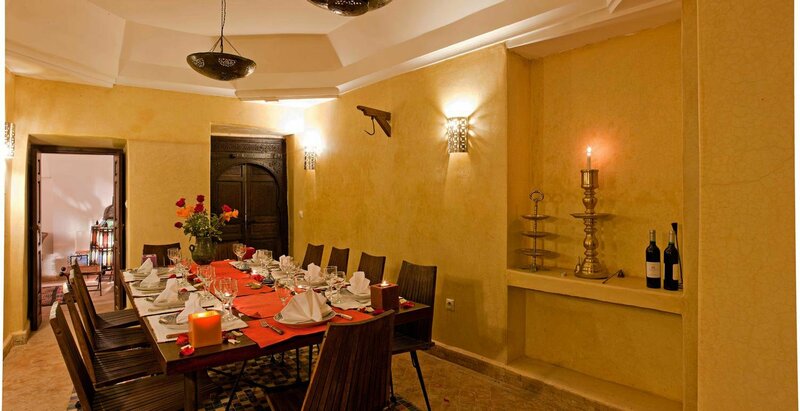 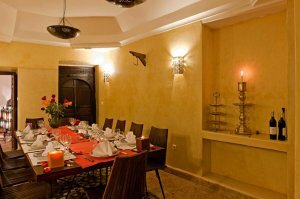 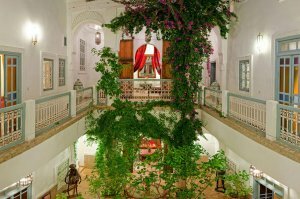 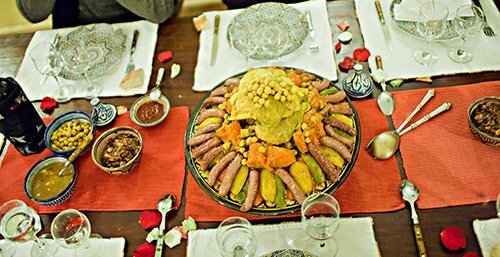 * The dining tatelakt and wood up to 12 people where Habiba Hayat and pamper you wonderful Moroccan recipes, the owner used to entertain friends with a trio of Berber musicians that are installed in the living room for unforgettable evenings. 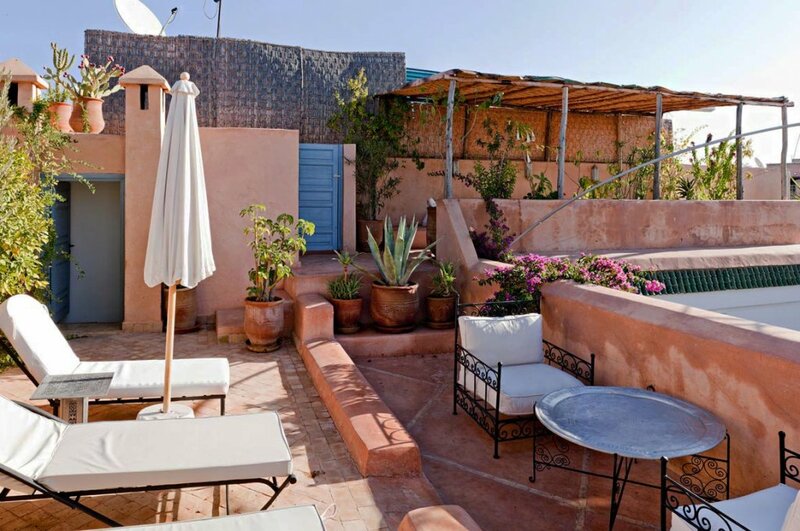 Large terrace on several levels with many dining areas (depending on the time or season), large living room and a solarium with sun loungers. 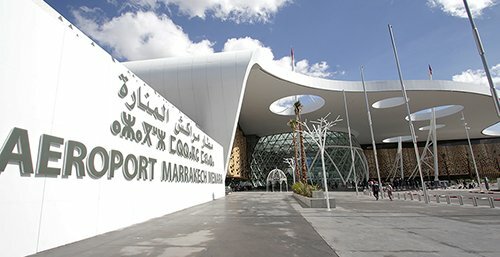 The covered seating under pergola has a total panoramic view that allows us to appreciate the snowy Atlas winter or Koutoubia illuminated at night. 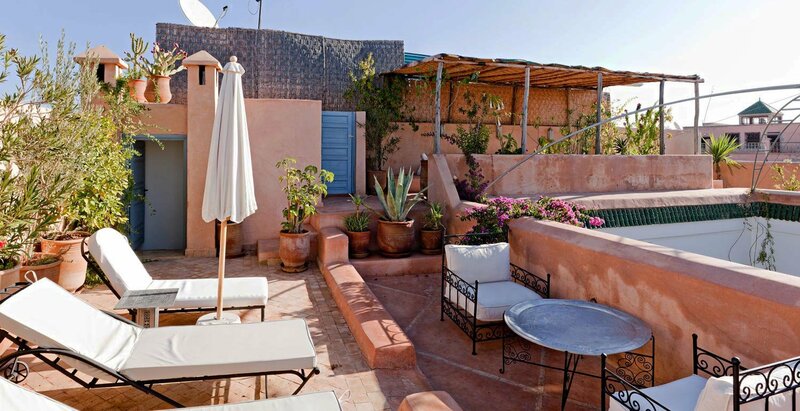 In winter, the riad is covered with a transparent roof for protection from the cold and rain. 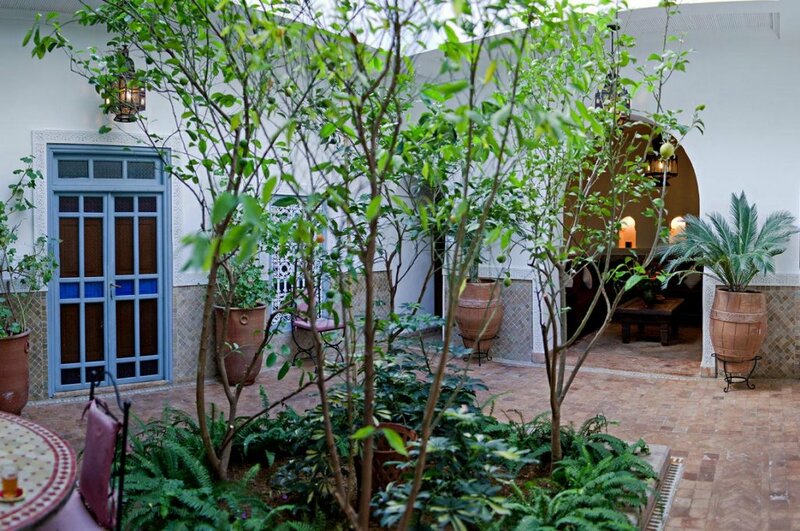 Very easy access on foot or by car in the center of the medina. 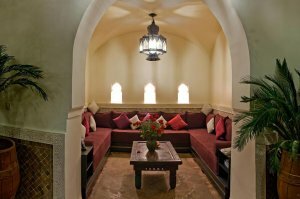 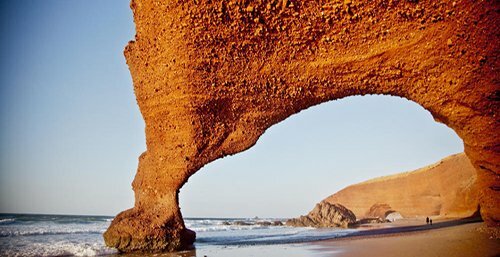 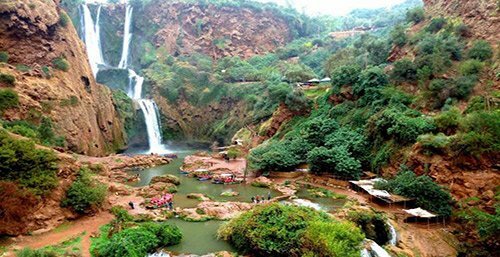 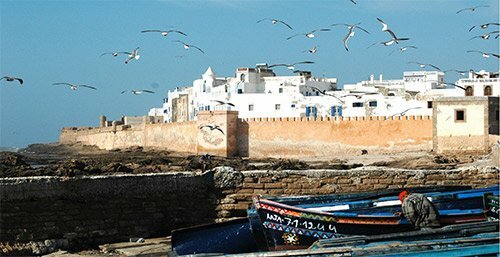 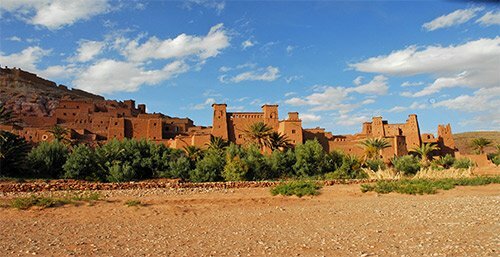 Upon your request, our driver will meet you at the airport and drive you to the riad in a single car. 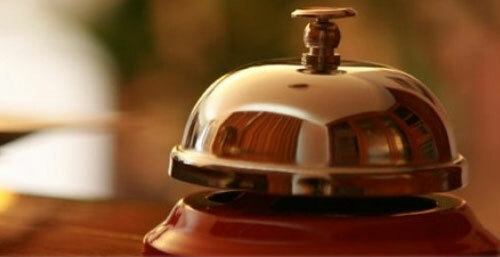 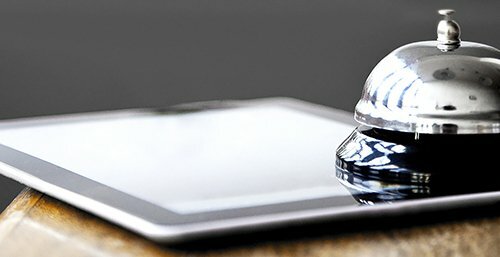 The ideal solution for those who do not know the city as well as peace of mind upon arrival!